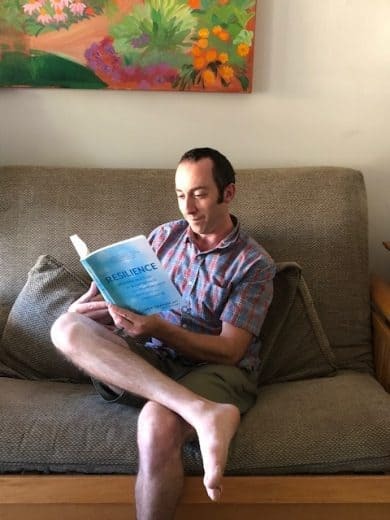 Resilience is officially launched into the world today. * the trauma of “too much” that change our relationship to ourselves and our lives forever. You can learn the skills necessary to cope with anything, anything at all. Read endorsements of psychologists, researchers, mindfulness teachers, parenting experts here. View video conversations with experts on recovering resilience here. View the publisher’s interview with the author here. Listen to audio recordings of exercises here. And read recommendations of other excellent books on resilience here. Order your copy here and receive a free video mini-series on Practices for Recovering Resilience. by Rick Hanson with Forrest Hanson. Without a doubt, an excellent guide for strengthening 12 essential inner resources you need to cope with the adversities you face in your life: compassion, mindfulness, learning, grit, gratitude, confidence, calm, motivation, intimacy, courage, aspiration, generosity. Because Resilient shows you how to install these essential resources step-by-step, the practices offered here are trustworthy and effective. You really can build a reliable foundation from the inside out of steady resilience and lasting well-being. by Steven Southwick, M.D. and Dennis Charney, M.D. social impact of trauma can help us manage our stressors and tragedies. greater strength and even greater wisdom. A ground-breaking integration of modern neuroscience, relational psychology and contemplative practice that guides readers in strengthening the capacities of resilience innate in the brain, creating more flexible responses to everyday disappointments and extraordinary disasters in ways that are safe, efficient, and effective. Engaging interviews illuminate how to find growth through adversity and meaning in the messiness. Learn how to cultivate the mindset of resilience that can catalyze healing and growth from catastrophe. Stand strong alone and rely on others. And then includes wonderful, very human stories to illustrate how each action works to foster resilience. Focusing on one trait per day: habit, hope, health, control, playfulness, self-respect, self-awareness, realistic optimism, mindfulness, integrity, spirituality, flexibility, perseverance, acceptance, innovation, emotional intelligence, purpose, problems solving, social connectivity, altruism, gratitude. Daily do’s of simple exercise to do morning, day, evening. Suggestion for cultivates these traits lifelong. A research-based guide from the emerging fields of resilience psychology and post-traumatic growth for finding hope and strength after a devastating loss. Full of very practical, easily implementable tools in recover that well-being even in the midst of darkness and pain. by Ama Marston and Stephanie Marston.